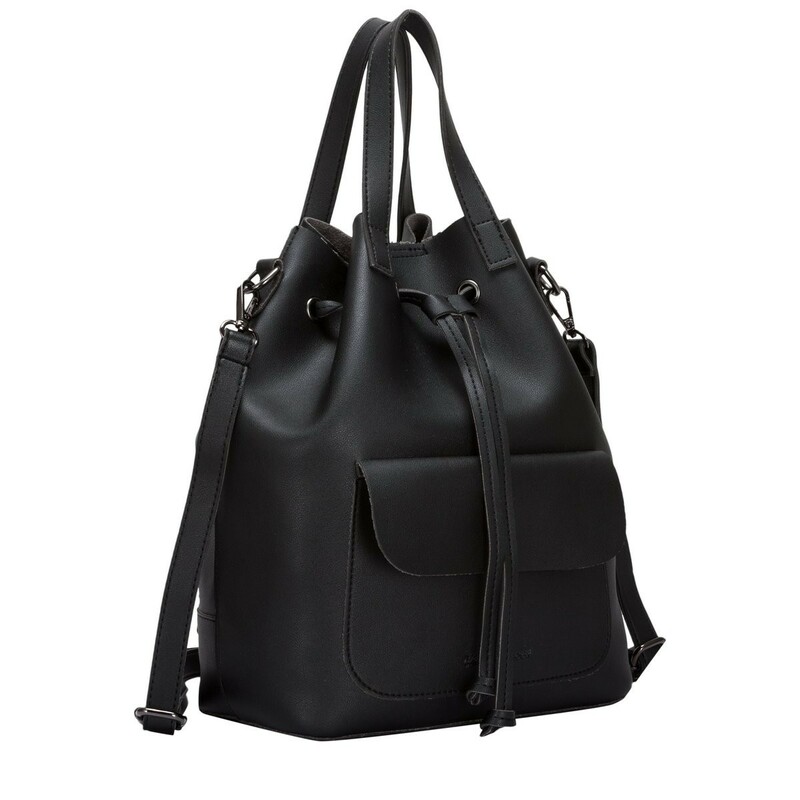 Update your look with this gorgeous and tactile draw-string bag. 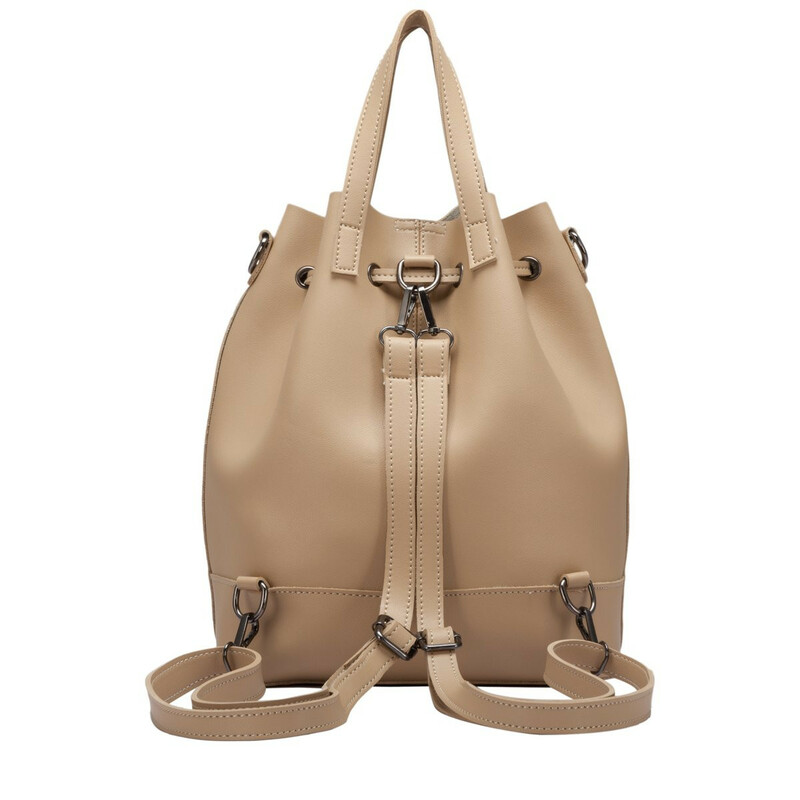 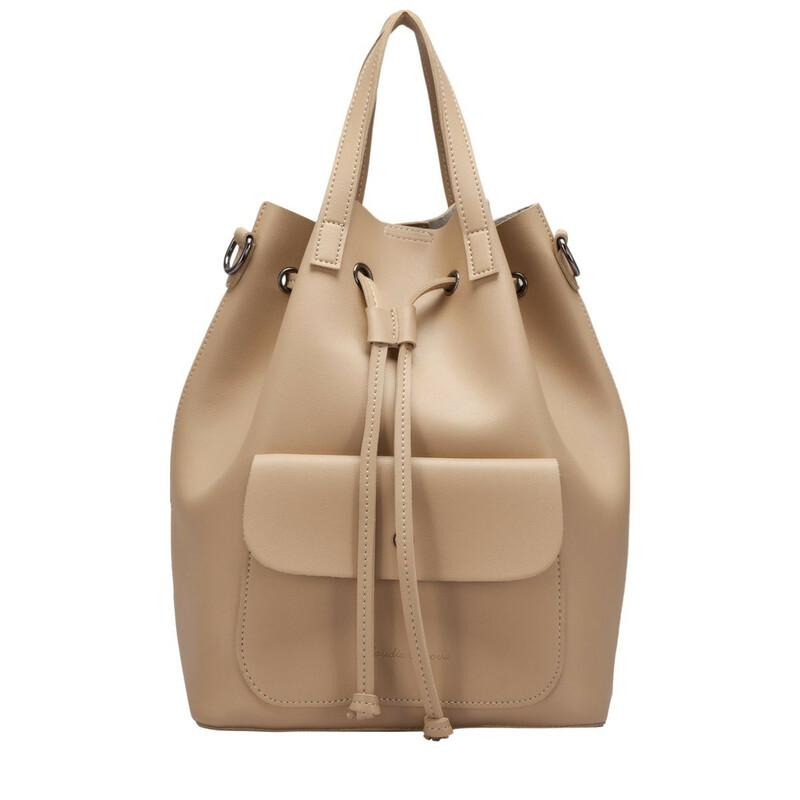 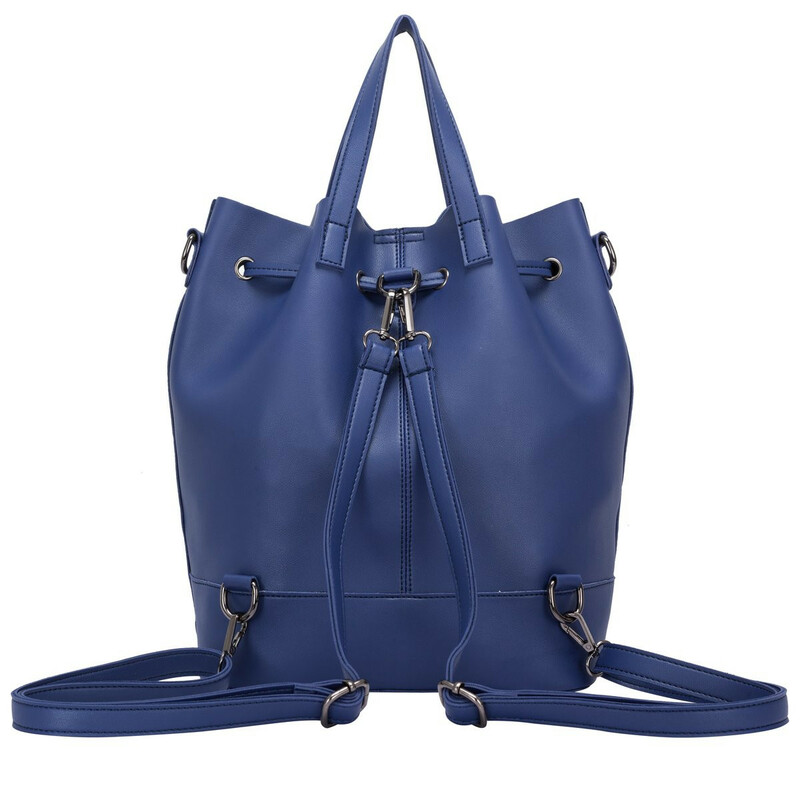 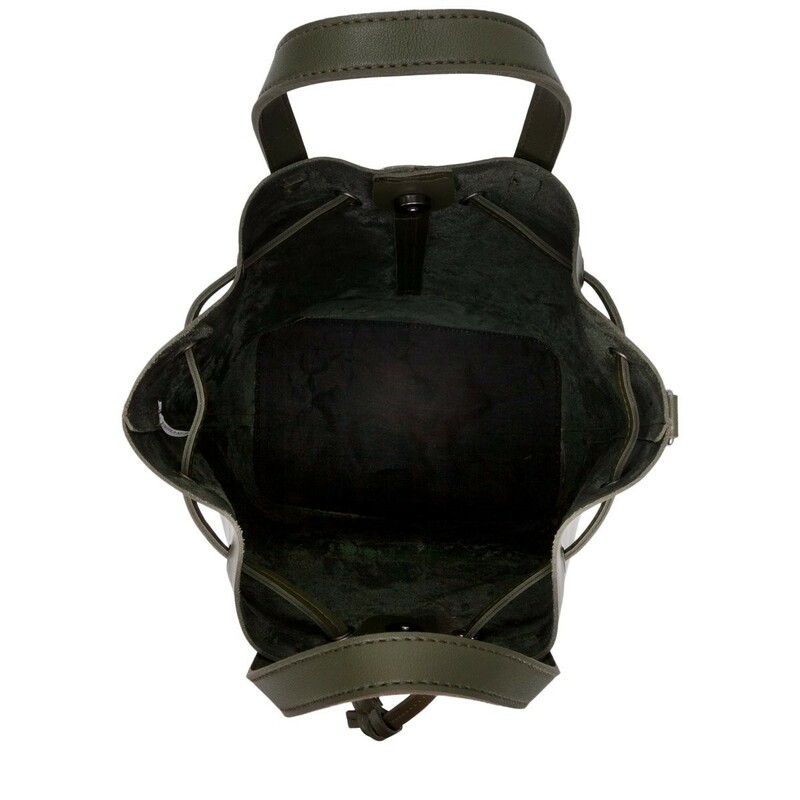 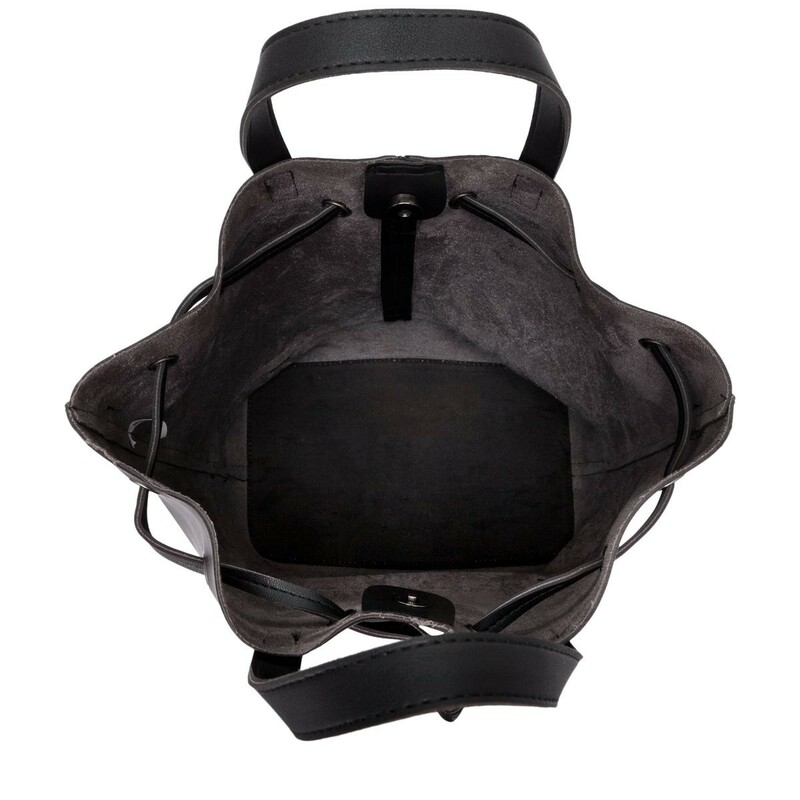 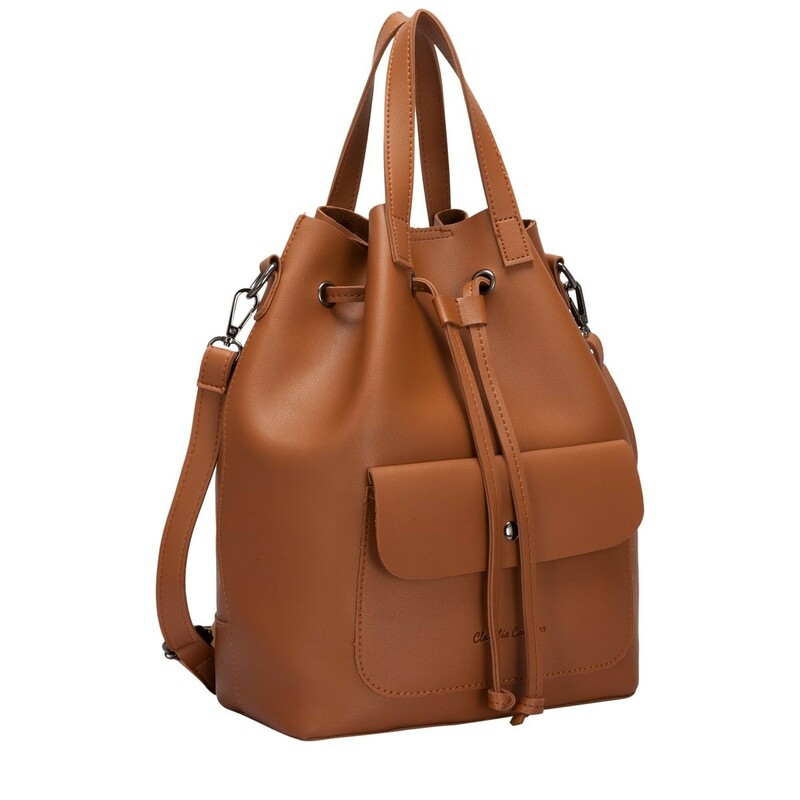 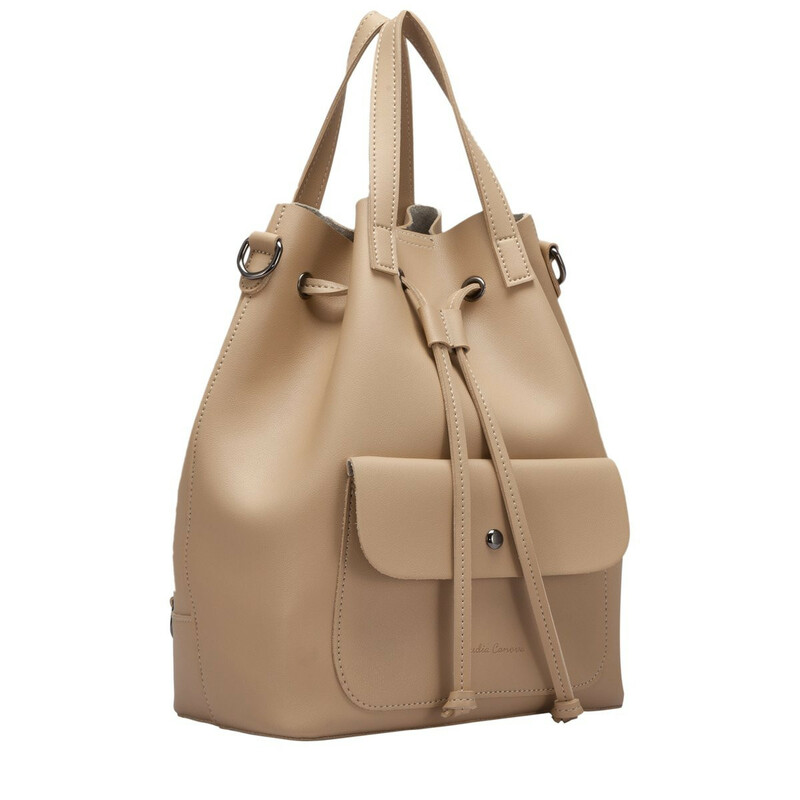 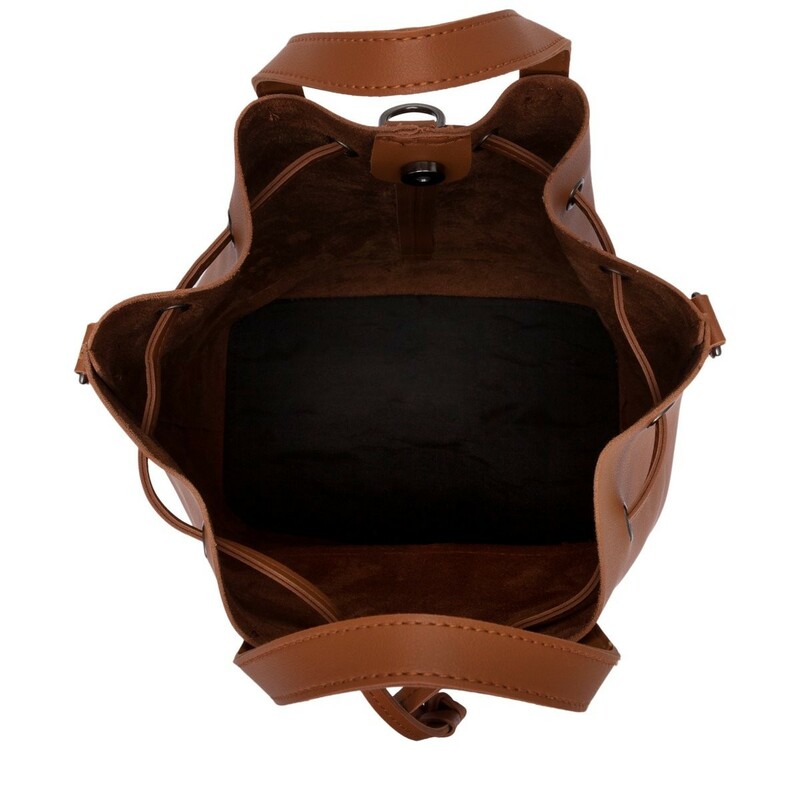 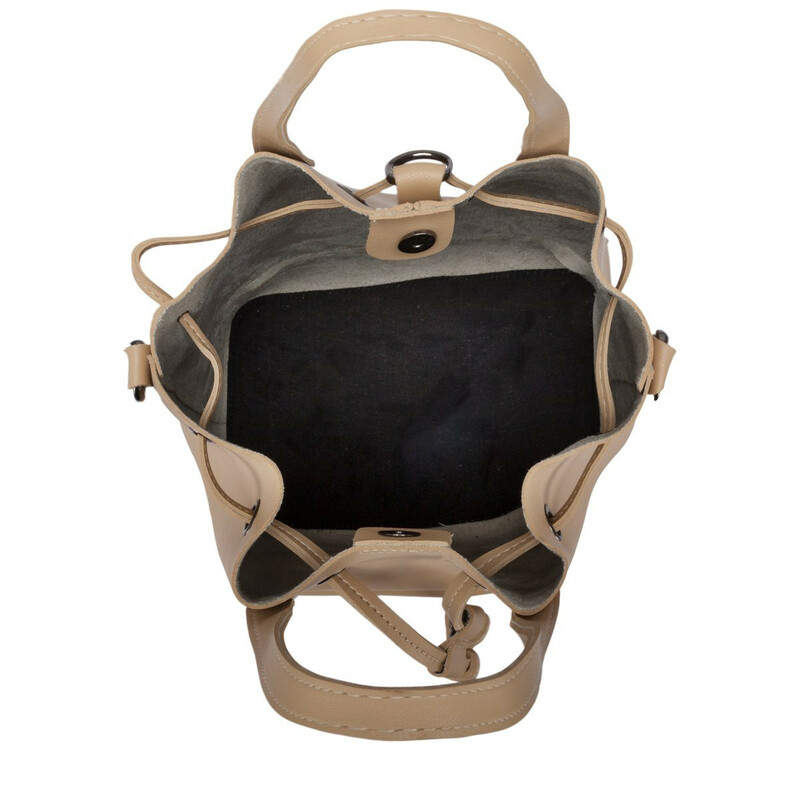 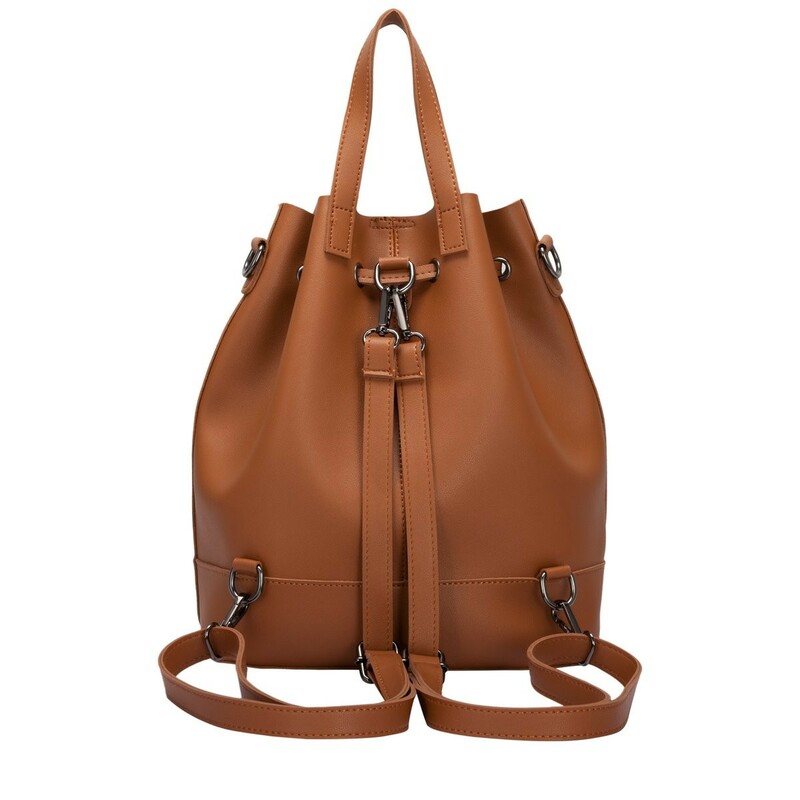 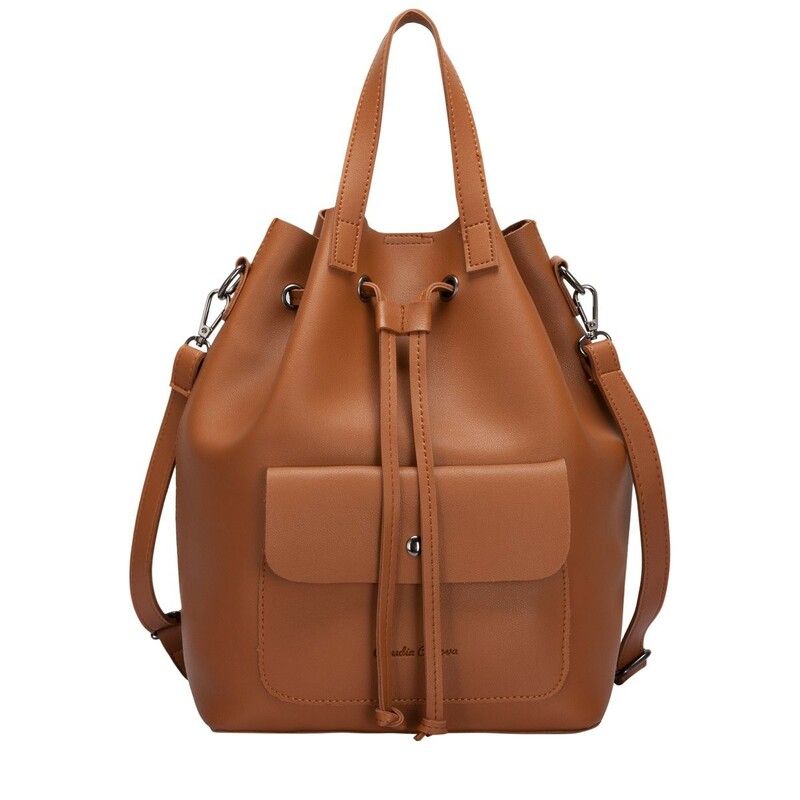 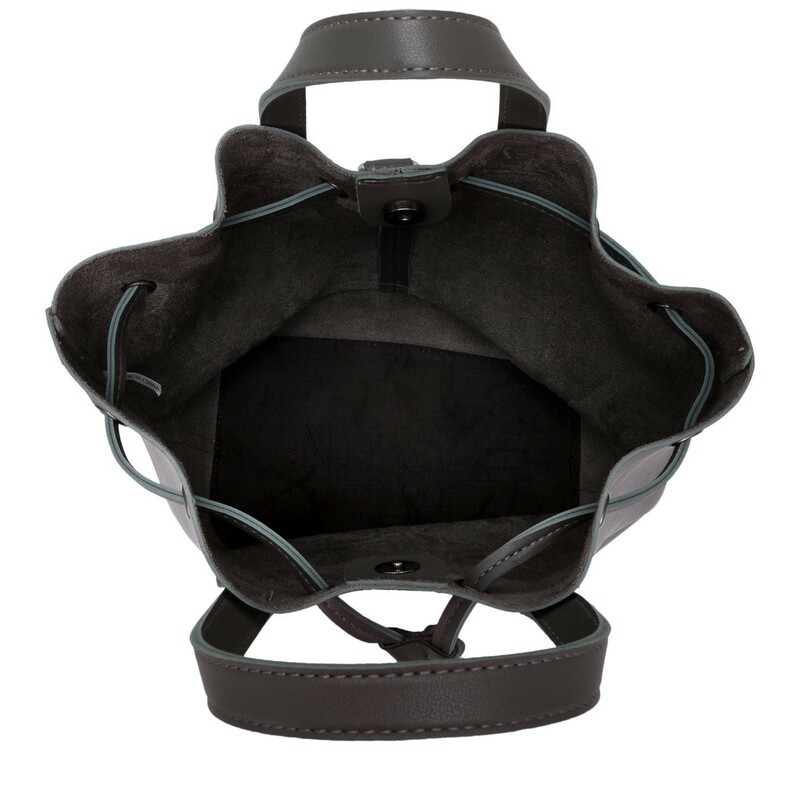 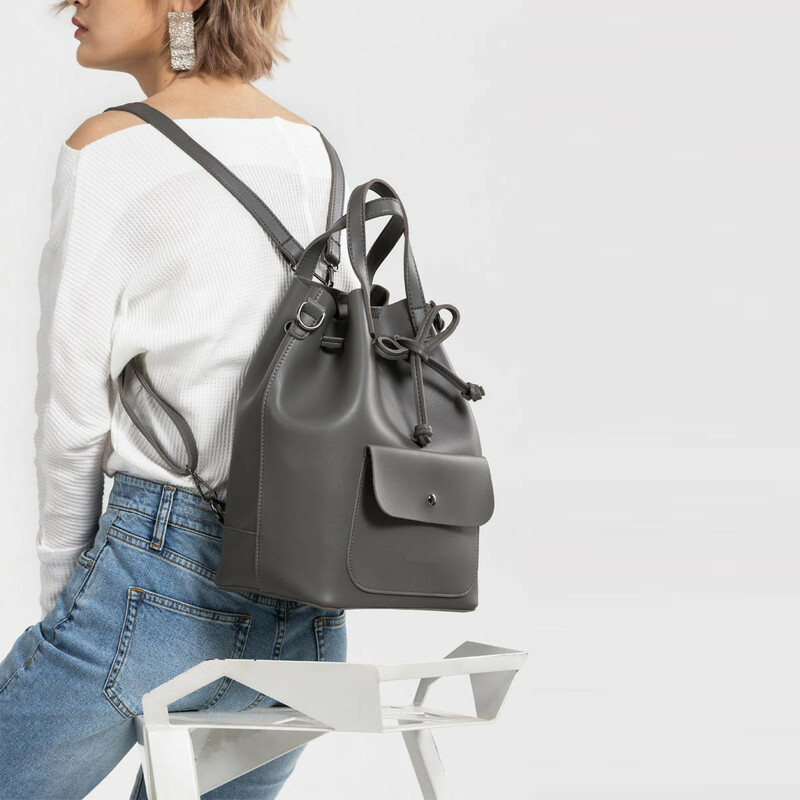 You can wear as a grab bag, or attach the shoulder straps and style as either a backpack or an over-the-shoulder style. 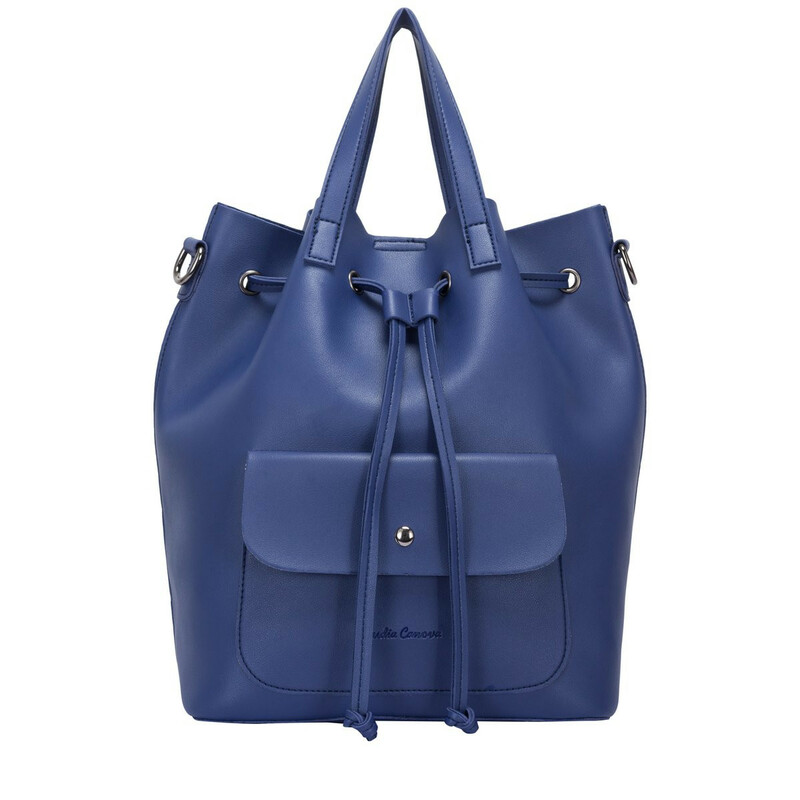 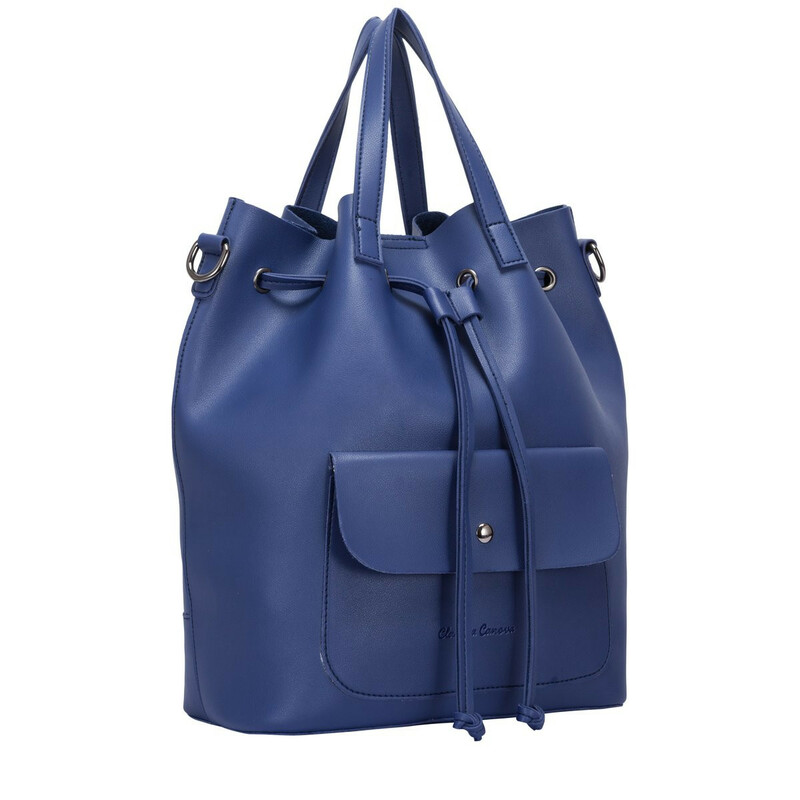 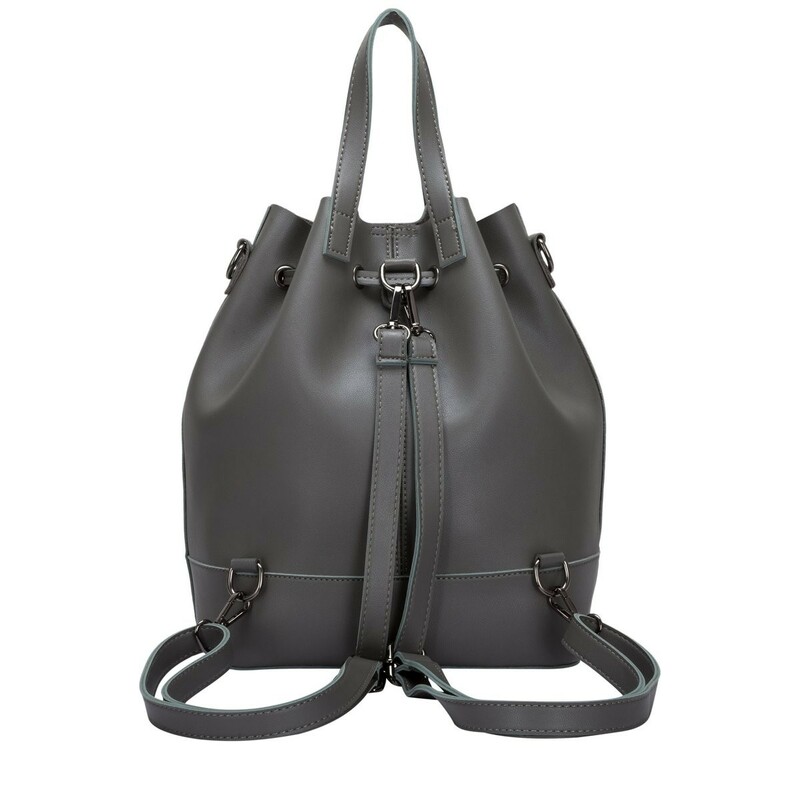 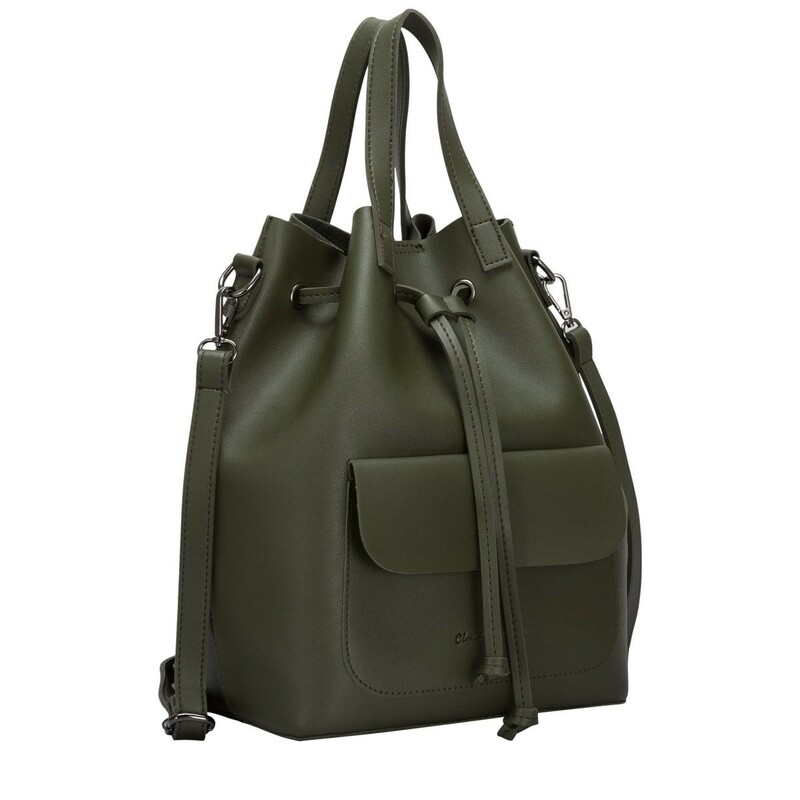 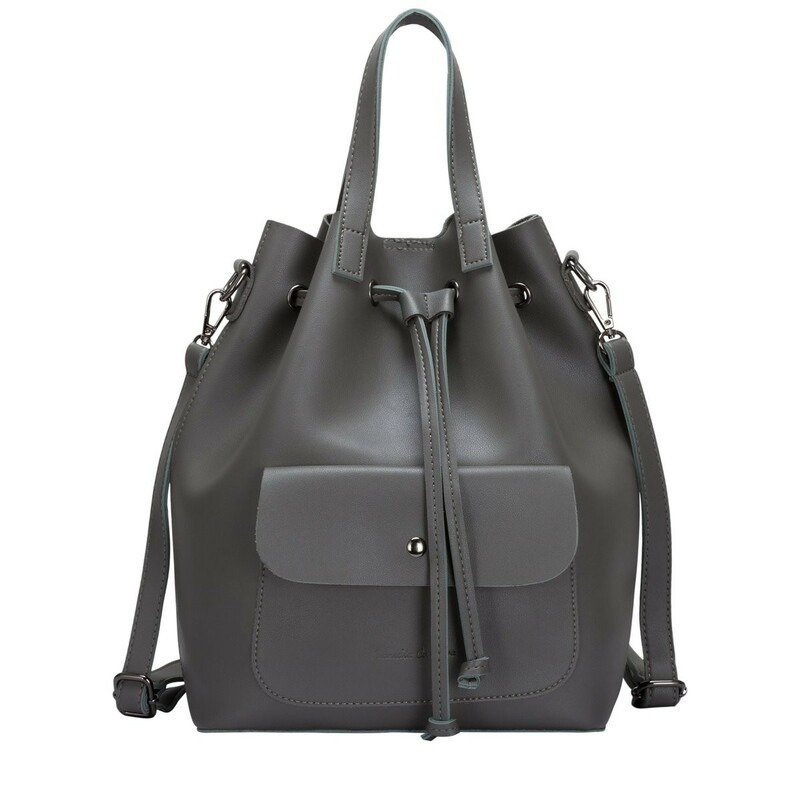 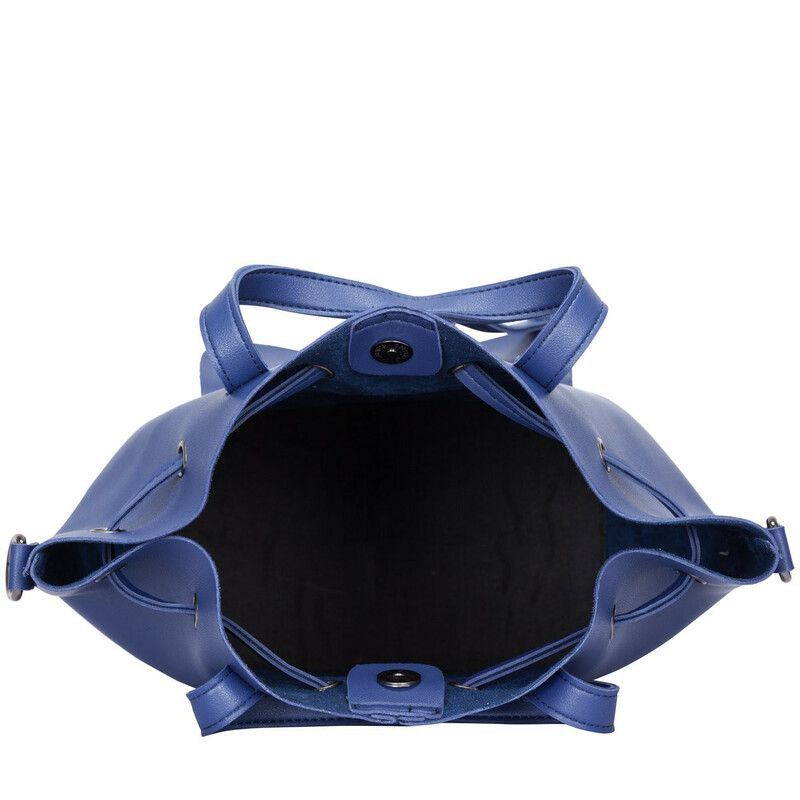 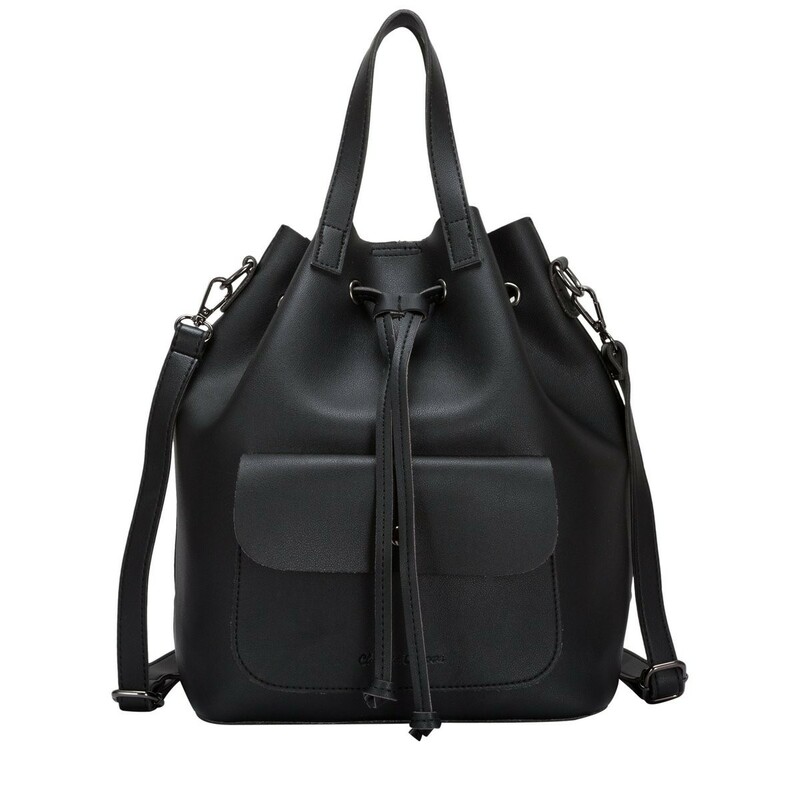 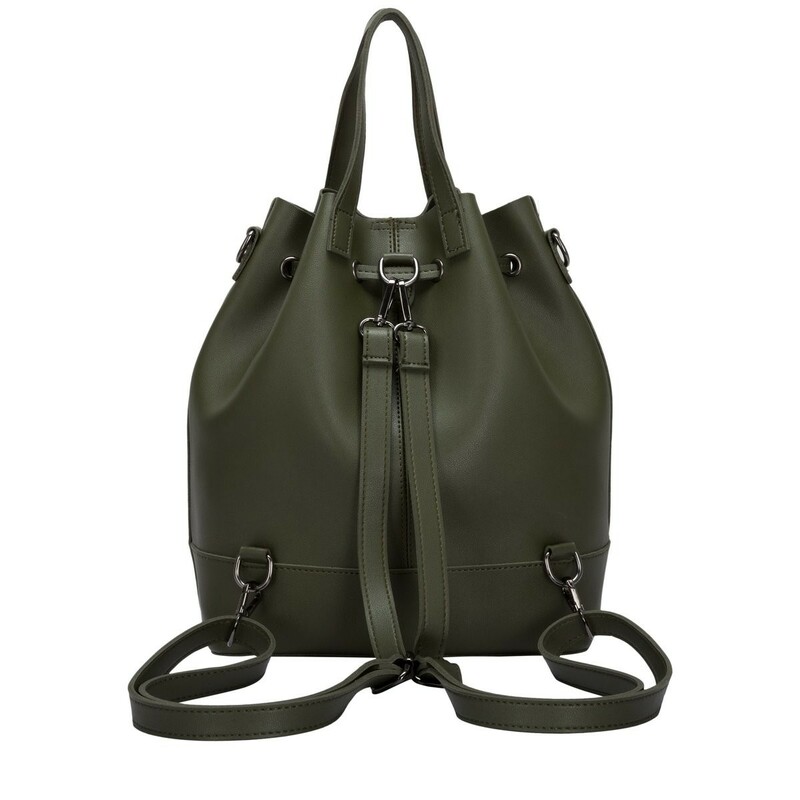 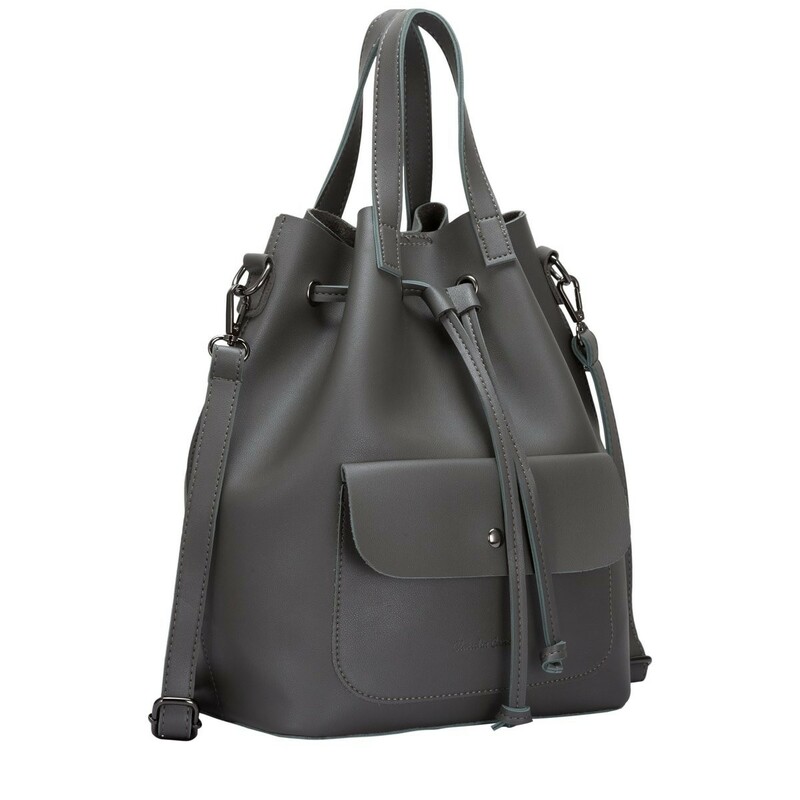 The minimal design features a front pocket detail with gunmetal hardware, for a toughened up feminine look.